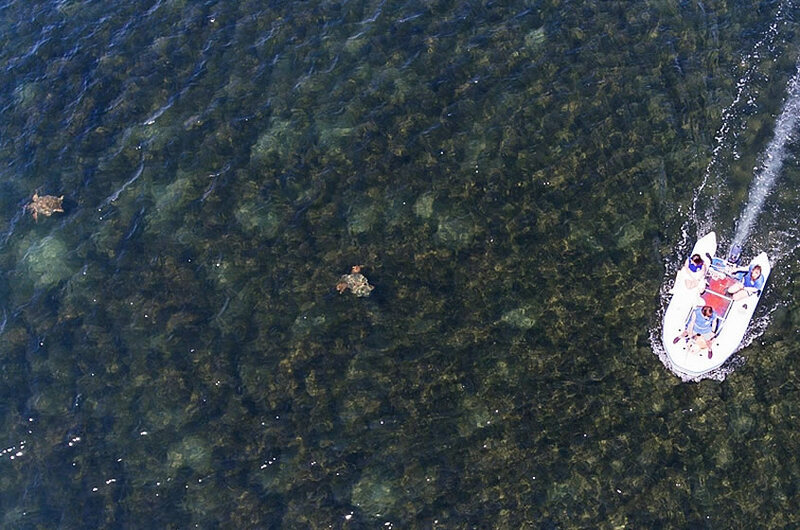 Τhe first presentation of ARCHELON’s sea turtle conservation work by drones has been made publically available. What are drones? The official term in English is UAV- Unmanned Aerial Vehicles. These high tech devices are seemingly becoming valuable tools for sea turtle conservation. The Amvrakikos Gulf (NW Greece) drone survey aims at determining the density and distribution of sea turtles in this vast protected marine space. Research is undertaken in the shallow waters of the bay, which are covered by sea grass beds. A sea turtle data collection project using capture / recapture methods has been taking place in the same area for the last 15 years, aiming to determine vital life cycle characteristics of the sea turtle population. The use of drones in this area, however, will allow surveying from the air, in repeatable routes in a comparable manner. 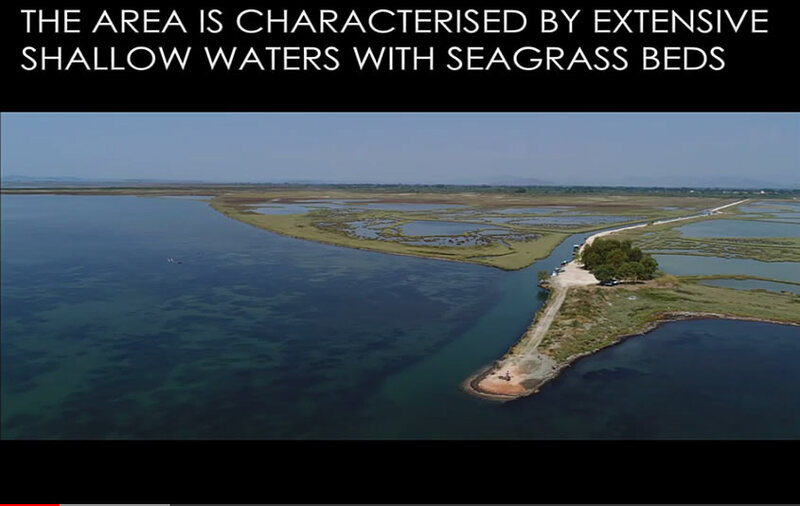 Similar actions are in place in the area of Kyparissia, the Evrotas Estuary, Preveza and Rethymno bay, partly financed by the Life-Euroturtles project. These aim at studying the sea turtles in the coastal zone and also at reducing the burden in monitoring nests in long beaches. 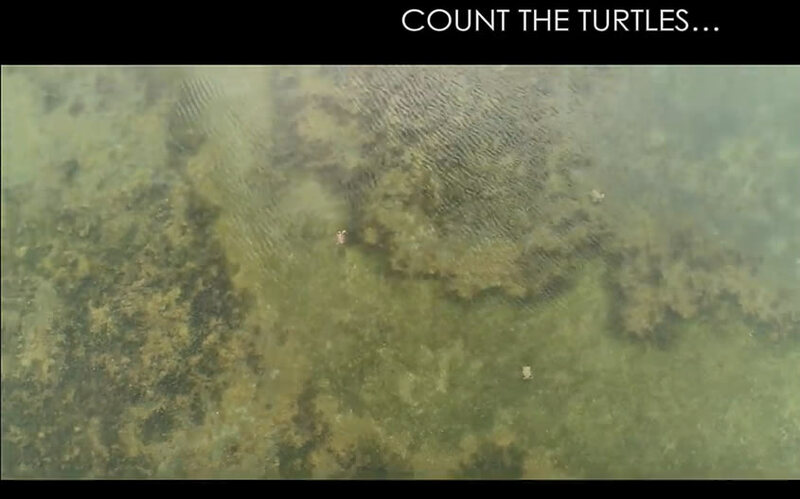 You are welcome to watch the presentation by Dr Alan Rees and try to spot the turtles shown in this impressive video!